Last week Daddy’s Little Star, originally published as My Little Star, was reissued to celebrate the 10th anniversary of its publication. 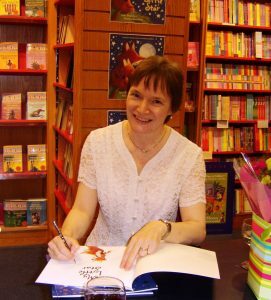 We’re delighted to welcome the author of Daddy’s Little Star, Janet Bingham, to Story Snug to tell us more about the inspirations behind the story and her work as a picture book author. The Story: As Little Fox is playing in the leaves he looks upwards and talks about how trees reach the top of the sky. 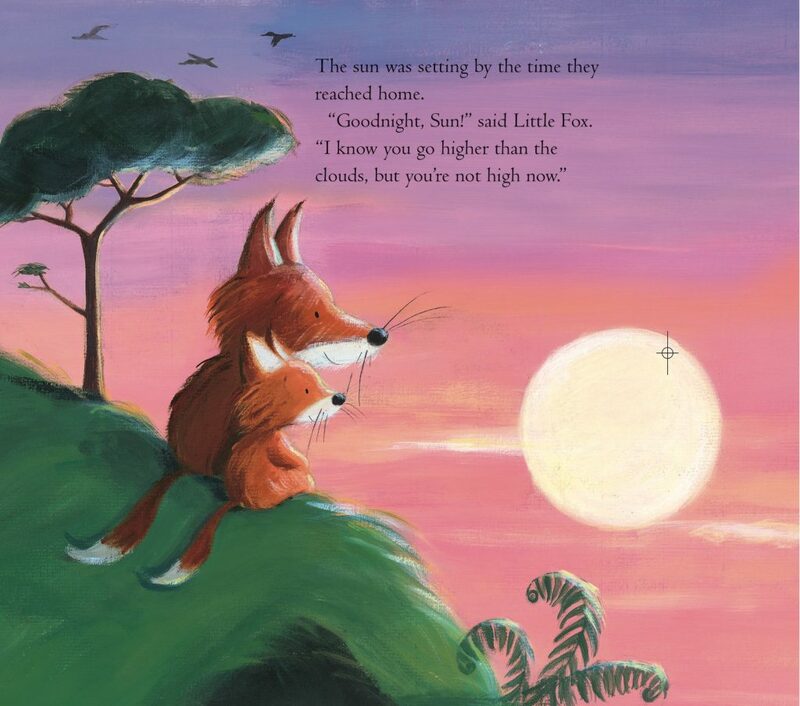 Daddy tells Little Fox that the sky goes much higher which leads to a discussion about what is at the top of the sky. As they walk back to their den Daddy helps Little Fox come to a conclusion about how high the sky is but then Little Fox has another question…! Daddy’s Little Star takes a wonderfully gentle look at the natural world and the concept of never ending love through the eyes of a small ‘child’. Daddy Fox’s open ended and patient questions lead Little Fox to realise that the sky goes on forever in the same way that love has no beginning and no end. 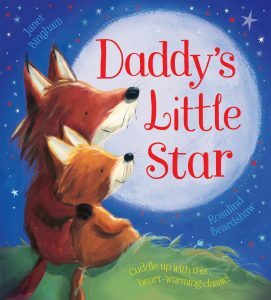 This love between the two foxes is beautifully portrayed both in Daddy’s Little Star and its sequel, A New Home For Little Fox. The text is easy to read and Rosalind Beardshaw’s illustrations convey the high energy and boundless curiosity of Little Fox as he watches bees, clouds and a rainbow. He becomes calmer as night begins to fall and he snuggles up to Daddy to look at the stars. The cover image of Daddy with his arm around Little Fox is gorgeous and it perfectly conveys the close and caring relationship between the two foxes, the love that they share and the fun that they have together. Daddy’s Little Star is a perfect story for bedtime. It’s lovely that a new generation can now enjoy it too! Janet has very kindly answered our questions about her writing and Daddy’s Little Star. We always like to know how our guests became authors. What was your first book and how did it come to be published? 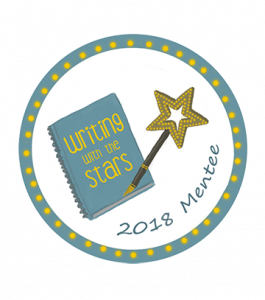 My Little Star was my first book. It was accepted by Scholastic via the slush pile route and published in 2007, 15 years (!) after I took a creative writing evening course. In between, there were over 50 rejections for texts now best forgotten. Congratulations on the 10 year anniversary of My Little Star / Daddy’s Little Star. How / where did you get the inspiration for the story? I took a lot of inspiration from the picture books I was reading to my little girls back then, especially Sam McBratney’s Guess How Much I Love You. And, living under the endless East Anglian skies, I’ve always been a bit of a sky-watcher – so it was natural to use that as the target of Little Fox’s questions. Foxes in children’s stories are very often portrayed as ‘mean and calculating’, unlike Daddy Fox and Little Fox. Why did you choose foxes as the main characters? I wanted an anthropomorphic child-character who was curious, bright, bouncy and cute. He had to be a little fox! We love the picture of Daddy Fox and Little Fox watching the sunset. Do you have a favourite illustration from the story? That’s hard. I agree the sunset picture is gorgeous. 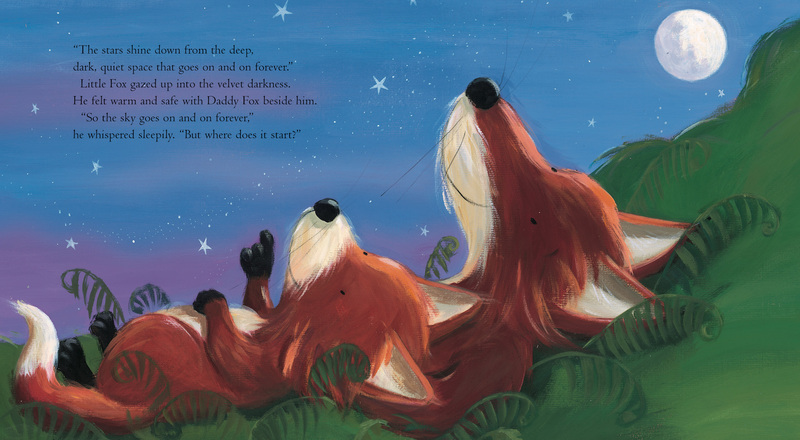 I’m also particularly fond of the spread where Little Fox and Daddy are lying on their backs under the velvet sky. But I love them all! How much collaboration, if any, did you have with the illustrator of Daddy’s Little Star, Rosalind Beardshaw? None, really, although my editor at Scholastic let me see the early line drawings and paintings at various stages, so I had the chance to share concerns, if I’d had any. But I love Ros’s work and I was thrilled with everything she did. You have written several picture books. Is it possible for you to choose a favourite? It has to be Daddy’s Little Star. It was the first and the most well-received. I’m so pleased that it’s still in demand 10 years on. Can you tell us more about what an author’s role involves once their book has been published. When I was first published I was a complete novice and happy to let the Scholastic team take care of promotion. But now I see other authors tirelessly publicising their work through social media and personal appearances, and I realise I’ve been slacking on the job. 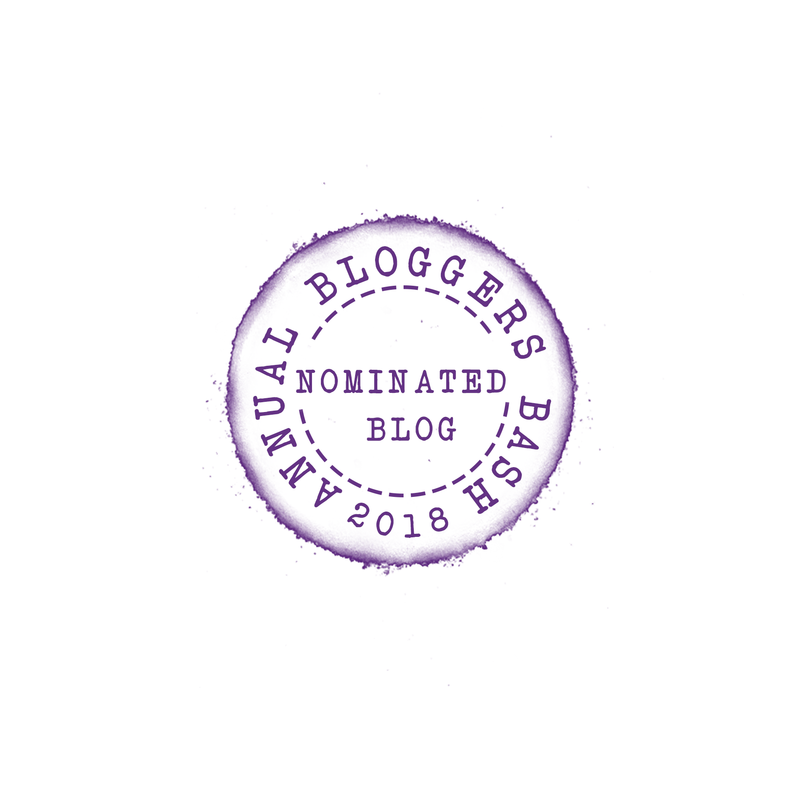 I’ve finally acquired an author website, and although I’ve never yet uttered a tweet, I’m trying to make myself more visible. 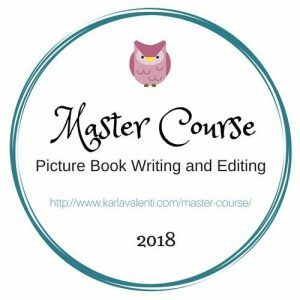 What advice would you give to aspiring picture book writers? 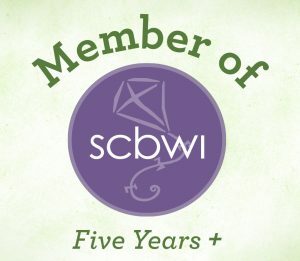 Join SCBWI (Society of Children’s Book Writers and Illustrators) or another association of like-minded people, and if possible a critique group. There’s a ton of invaluable support and information out there, whether you’re just starting out or already published. Also, read everything you can! I used to think about my stories in the car during rush hour, but I don’t do the daily commute any more. I mostly work at my laptop in an office room at home. But one of the joys of writing is that you can mull the words over when you’re doing all sorts of other things, like gardening. I’m helping the Working Partners Ltd team with some of their adventure stories for the 6+ age range. I’ve also just finished the first draft of a Middle Grade prehistoric adventure story. Redrafting starts now! We’re always interested to know what authors enjoy reading. Do you have a favourite picture book from your childhood? I recently found a battered copy of the Ladybird Puppies and Kittens book in a jumble sale, and it transported me straight back to childhood. I’d forgotten how much I loved those illustrations. Right now it’s Mr Mustachio, written by my friend Yasmin Finch and illustrated by Abigail Tompkins. Published in 2016, it’s the quirky tale of Mr Mustachio’s super-duper moustache mishap. It has some marvellous alternative moustache ideas. Thank you so much for visiting us on Story Snug Janet. Happy 10th birthday to Daddy’s Little Star! Thank you, Catherine. It’s a pleasure to appear on Story Snug. I’ll be celebrating Little Fox’s 10th birthday with story-reading, fun activities and cupcakes at Heffers Children’s Bookshop in Cambridge, on Saturday 3rd June, 2-4pm. Everyone welcome – details are on my website. Janet Bingham lives with her husband near Cambridge, in a house that used to be full of small children and pets. They’ve all moved on now, but there’s still plenty of wildlife in the garden, offering lots of writing inspiration. Janet has always been fascinated by animals and nature. She studied Zoology at the University of Newcastle upon Tyne, and once spent a summer in windswept Orkney counting legions of guillemots on distant cliffs. Animals somehow make their way into all Janet’s stories. What an adorable kid’s book. Such a lovely interview with Janet too, how wonderful to have a book that’s still popular after 10 years. It’s such a timeless storyline that I think the book is one that generation after generation can enjoy. I’m sure that the book will carry on being popular, it’s such a timeless storyline. I agree, this would be a great present for Dad on Fathers’ Day! This sounds like a lovely book. It’s one we didn’t come across when the kids were little. It’s lovely to read a little bit more about it from the author. My daughter was a huge fan of A New Home for Little Fox when she was younger which is the sequel to this one. One to keep in mind for when you have grandchildren maybe?! Don’t think I’ll remember that far ahead!!!!! I hadn’t thought about it being a great book for Fathers’ Day but I agree. My daughter always used to ‘give Daddy’ a picture book on Fathers Day when she was younger.